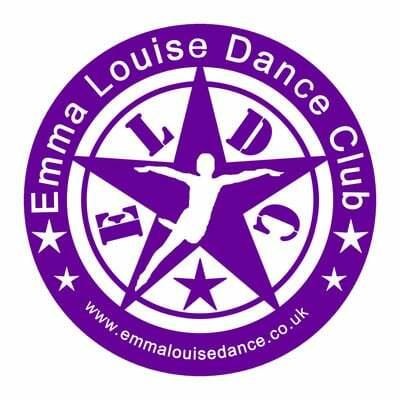 Emma Louise Dance Club offers a range classes for children and adults. Dancing is lots of fun. You can learn to dance at any age. It’s a great way to keep your body and mind healthy. Dancing burns calories, boosts memory, improves balance, flexibility, co-ordination. Dancers benefit from improved condition of heart and lungs, energy levels and stamina. Dancing enables you to build social skills, improve self-confidence and self-esteem. Dancing reduces stress and makes us happier. Primary Ballet classes are for our youngest children and are a perfect introduction to dance. ‘Dance with Twinklesteps’ is a specially developed programme to help children develop a love of dance and music in a fun and imaginative way, as well as developing a good basic ballet technique from an early age. Twinklesteps, the ballerina fairy, helps to inspire & motivate young children to enjoy the world of ballet & dance through imagination & play. Junior Ballet teaches children the basics of ballet and dance. Children develop good basic ballet technique through barre, centre exercises, games and fun, imaginative dance routines. Children are encouraged to learn French ballet terms, names of ballets and musical terms. We introduce children to the music and stories of famous classical ballets such as Nutcracker, Swan Lake, and Cinderella. Children enjoy structured classes that develop their physical skills and encourage creativity, expression, and musicality. Children continue to develop ballet technique through barre, centre exercises, and creative dance routines in Senior Ballet. Children explore famous ballets through music and dance and continued to build ballet vocabulary and understanding of ballet. Progressing Ballet Technique is taught in Senior Ballet. Progressing Ballet Technique is a fun, innovative program that gives children a better understanding of how to engage the right muscles to dance safely and correctly. PBT helps children develop good alignment, stability, strength, posture, turnout, control and balance. Popdance Tots is a dance class designed for pre-school children that teaches fun and enjoyable moves to ‘pop’ music. The classes are specially choreographed with pre-school friendly moves to music that little ones love. The emphasis is on fun, enjoyment and encouraging the children to express themselves through movement and dance. We have some fantastic warm ups to great tracks and a really fun “descriptive moves” section where the kids can dance together or on their own and learn some fabulous moves to show mum and dad! Popdance Tots classes allow children of all abilities to have fun, be themselves and make friends in a relaxed and friendly environment. Popdance Kids is a dance class designed for children that teaches fun and enjoyable routines to ‘pop’ music. Popdance Kids classes are lots of fun! Popdance Kids enable children to get active, gain confidence, make friends, learn fun dance routines, get creative, choreograph their own moves & be healthy. Children dance to fantastic warm ups and we have a really fun “descriptive” section where the children can choreograph their own moves. The main focus on the class is learning a routine to the whole pop song, building up this routine over several weeks. Popdance Kids classes are run in a relaxed and friendly environment where children of all abilities can have fun, be themselves and make friends. Popdance Teens is a dance class for older children that teaches fun and enjoyable dance routines to pop music by artists such as Little Mix, Dua Lipa, and The Script. Children learn how to warm up, stretch and cool down safety through specially choreographed routines. More advanced, dance routines, taught over several weeks, enable children to develop their dance technique, musicality and performance skills. Children are encouraged to contribute their own ideas, enhancing their creative, communication, teamwork and leadership skills. Popdance Teens offers a friendly class environment where older children can grow in confidence, have fun learning to dance and keep fit with the support of their friends and Popdance teacher. Adult dance classes to Pop music. Popdance Fit is a new faster paced dance class. Consisting of back to back dance routines to “pop” music from the 80s, 90s, 00s and now. It’s an opportunity to get a great workout, be active and have fun in a relaxed and friendly environment. From Wham to Robbie Williams – we’ve got all the classics covered – and we take requests! Young people (16+) are welcome if accompanied by an adult.